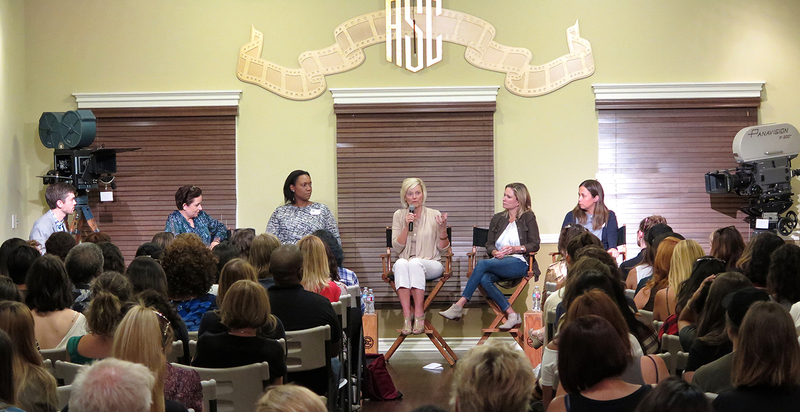 From left, Nancy Schreiber, ASC; Judy Irola, ASC; Amy Vincent, ASC; Joan Churchill, ASC; cinematographer Kira Kelly; Tami Reiker, ASC and Cynthia Pusheck, ASC. 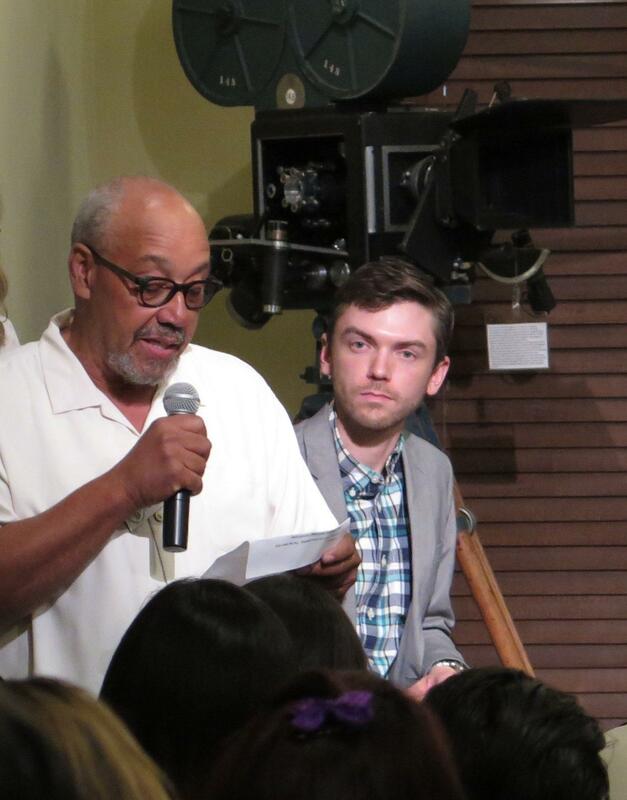 John Simmons makes his opening remarks, AC exec editor and discussion moderator Jon Witmer on his right. 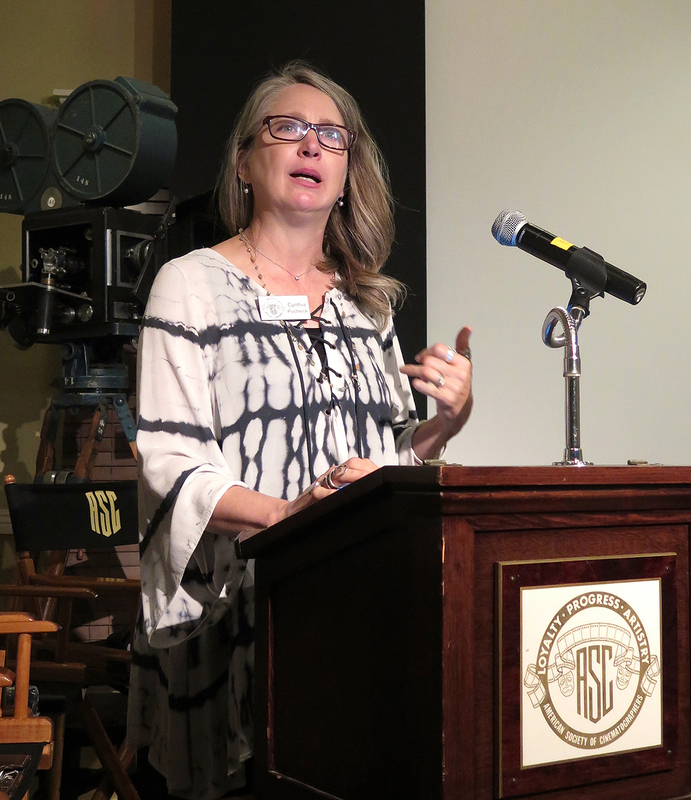 The Saturday event was also the result of a new mission for the 98-year-old professional organization, said van Oostrum, pointing to the Society’s recently formed Vision Committee, co-chaired by Cynthia Pusheck, ASC and John Simmons, ASC. 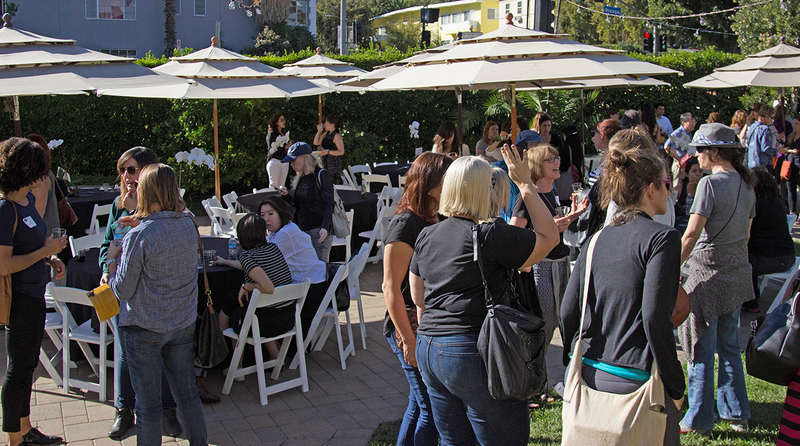 Cinelease, Panavision and SIM Group co-sponsored the event. In a 1980s news clip in which Murphy was interviewed, she told a story of how the union business agent at the time told her she’d be able to join the camera guild “over his dead body.” She applied the day of his funeral. 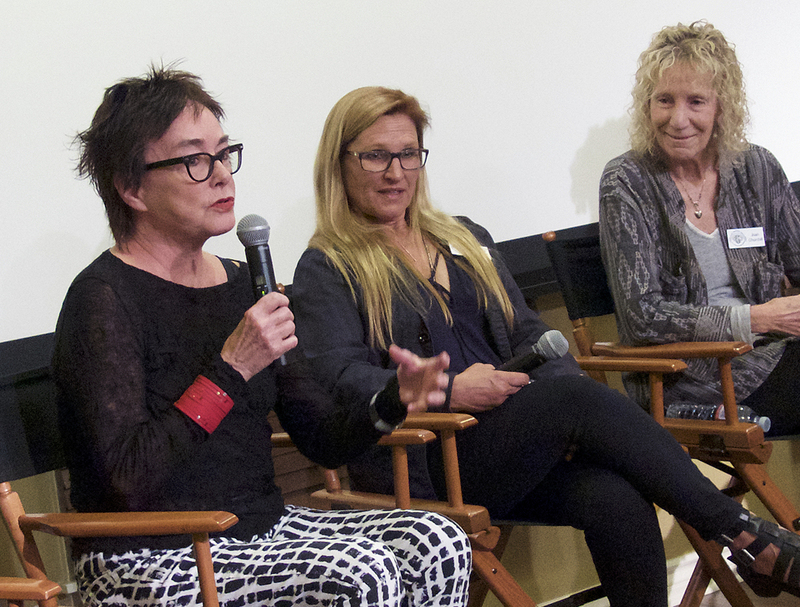 The day was broken up into two panels, both moderated by American Cinematographer executive editor Jon Witmer, with the morning on “Finding Your Career Path” and the afternoon on “Navigating the Business of the Industry.” In the first panel, Joan Churchill, ASC; Judy Irola, ASC; Kira Kelly; Pusheck; Tami Reiker, ASC; Nancy Schreiber, ASC and Amy Vincent, ASC delved into the specifics of their careers. Irola at the mic while Vincent and Churchill stand by. ASC members Vincent and Churchill. Vincent revealed she was in a pre-med program when she got a work-study job in performing arts and “immediately felt at home. 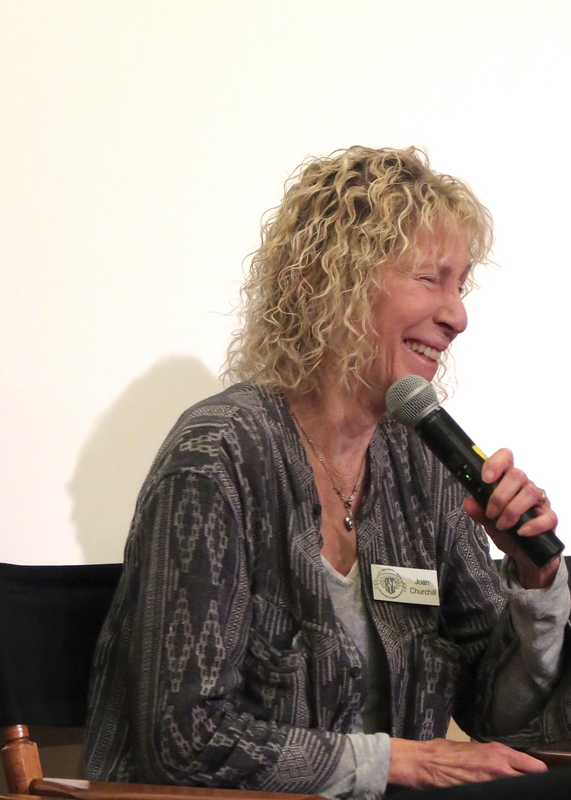 It was black-and-white silent film that inspired me to make movies,” she said. 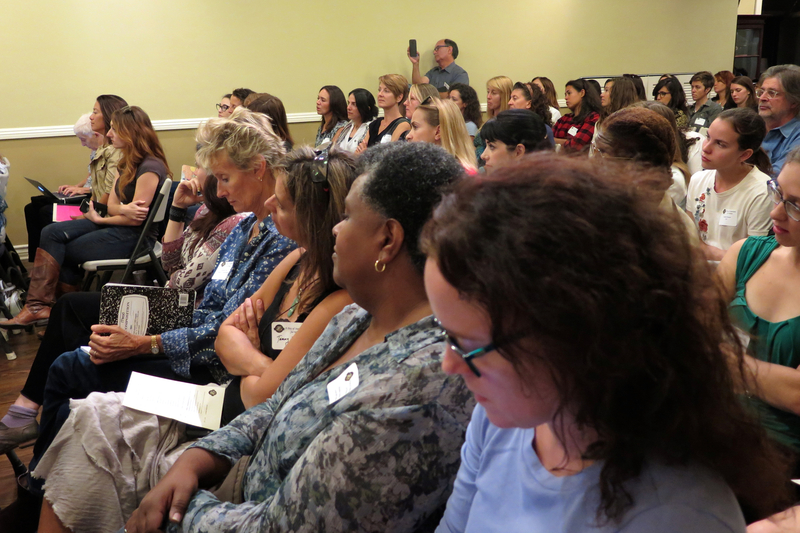 “I was blind to the idea that women didn’t do this. 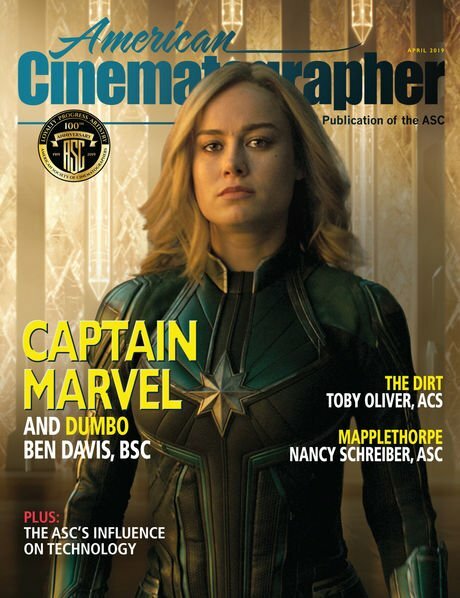 I started as a camera assistant and just started moving up.” She adds that her definition of success has changed over the years. 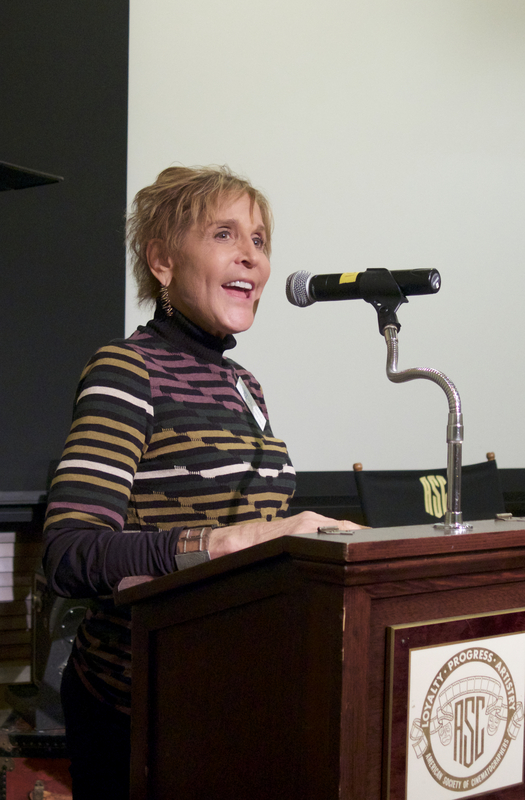 “True success is living the life you want to lead,” she said, noting that she is now volunteering to work with animals and that she also teaches film, which she loves. 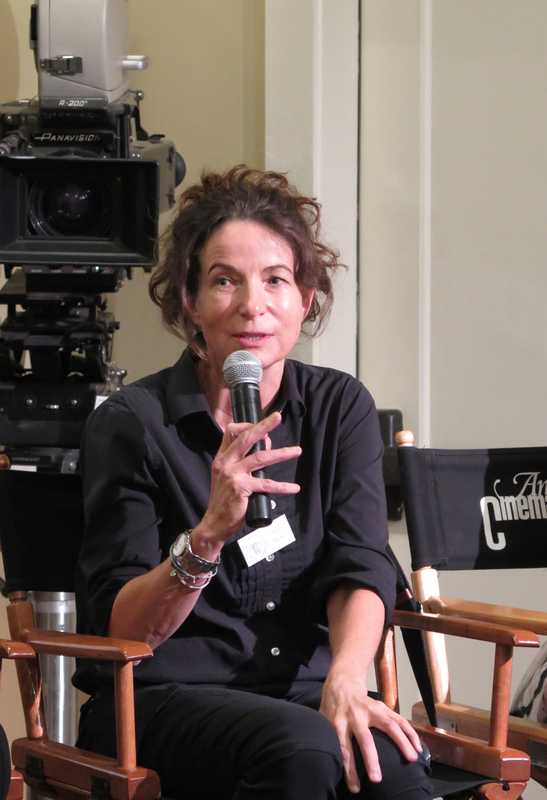 Reiker started with a passion for photography, went to New York University film school and “immediately” had a role model with cinematographer Lisa Rinzler, who had shot the indie feature Forever, Lulu (1987). 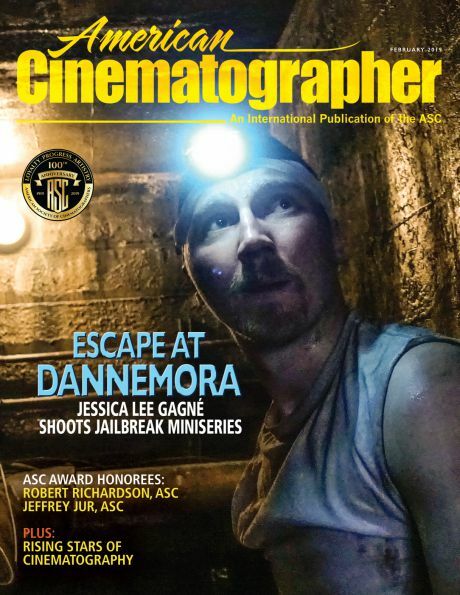 After working as a camera assistant, Reiker took out a $50,000 loan to buy a camera and began shooting music videos, documentaries and her first feature film. 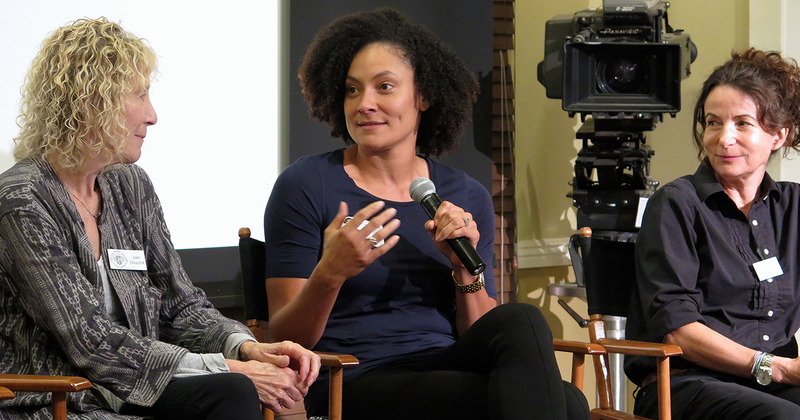 “Having that camera was a big turning point for me,” she said. She had burned out on traveling, but when she had her son, she started traveling again — and found it “amazing again.” “It changed my perspective,” she admits, but says that once her son grew to school age, she had to, again, stick close to home. Cinematographer Kira Kelly makes a point. 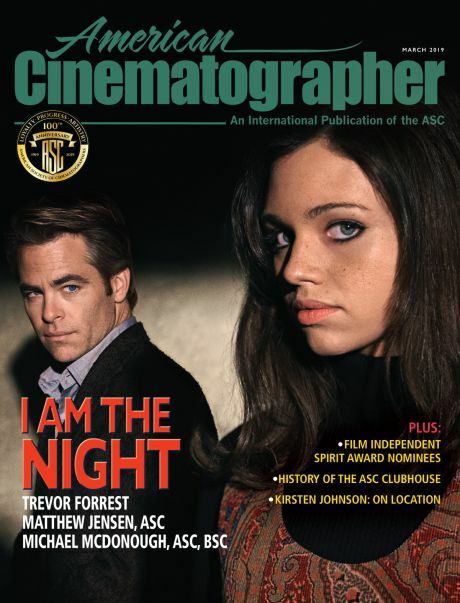 Churchill worked as an editor for some years, but when she knew she wanted to switch to cinematographer, she admits she was “hungry for a couple of years and spent a lot of time waiting for a call. But I had to make a decision. And then it started to happen. But you have to be comfortable never knowing when your next paycheck or next phone call is coming and find something that gives you joy when you’re waiting for that phone call. 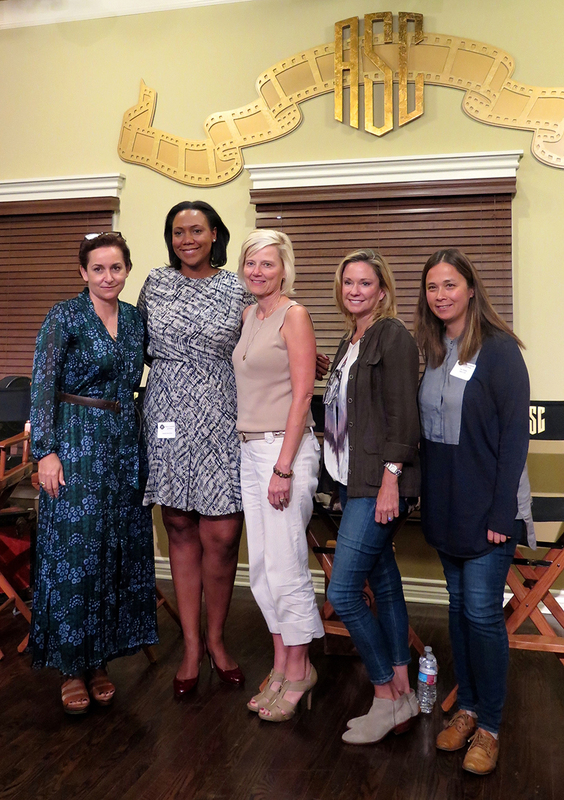 From left, Uta Briesewitz, ASC; Natasha Foster-Owens, director of production-HBO West Coast; Panavision chief exec Kim Snyder; producer-director Joanna Johnson and ICM agent Ann Murphy. 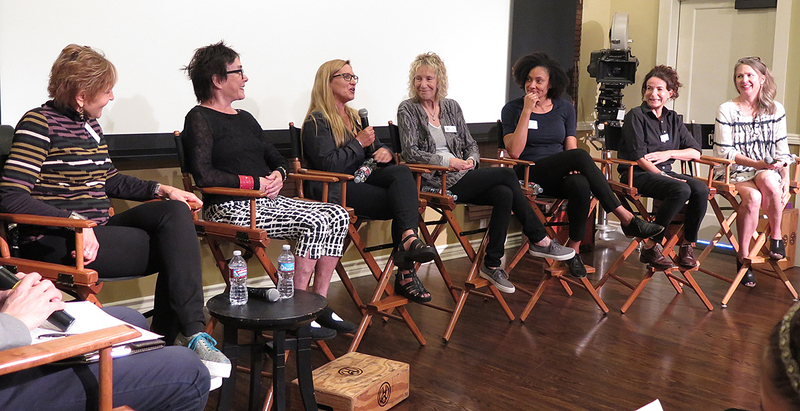 The afternoon session featured cinematographer-director Uta Briesewitz, ASC; Joanna Johnson, producer/director of The Fosters; Natasha Foster-Owens, director of Production-HBO West Coast; Panavision chief executive Kim Snyder; and ICM agent Ann Murphy. 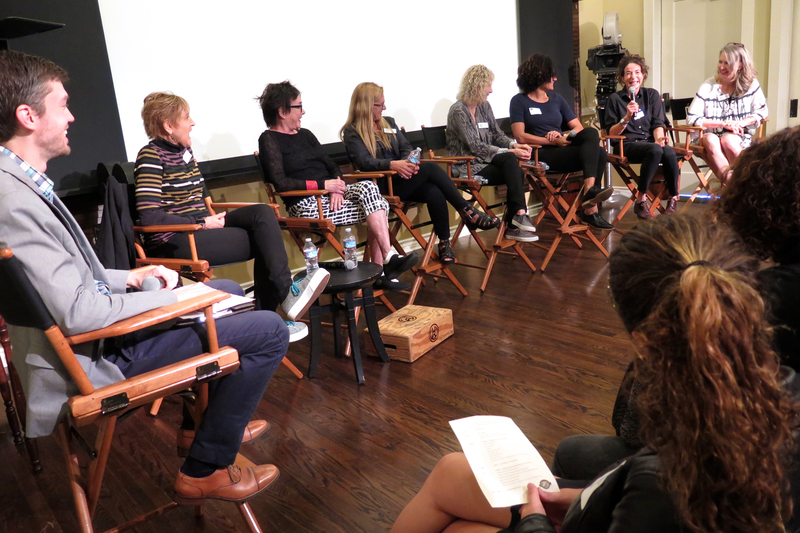 The panelists described their paths to careers they never guessed they would have as young women. 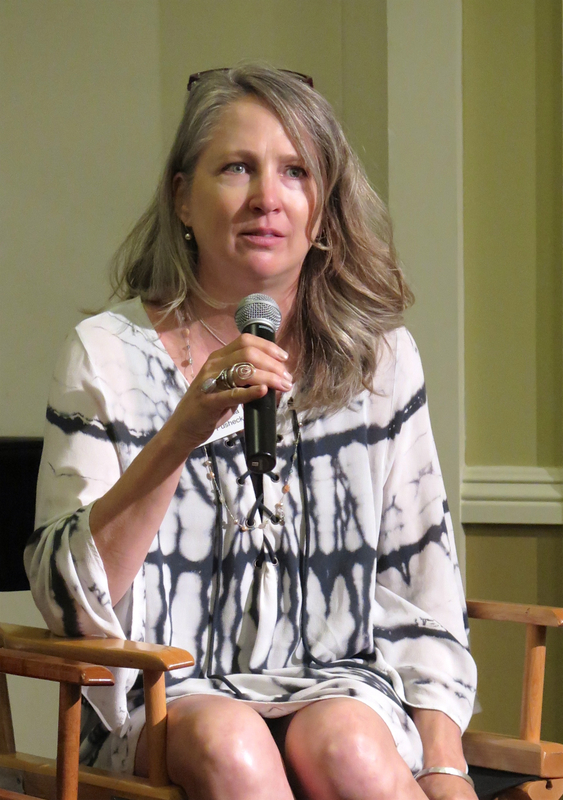 At center, Kim Snyder offers insight to the audience. 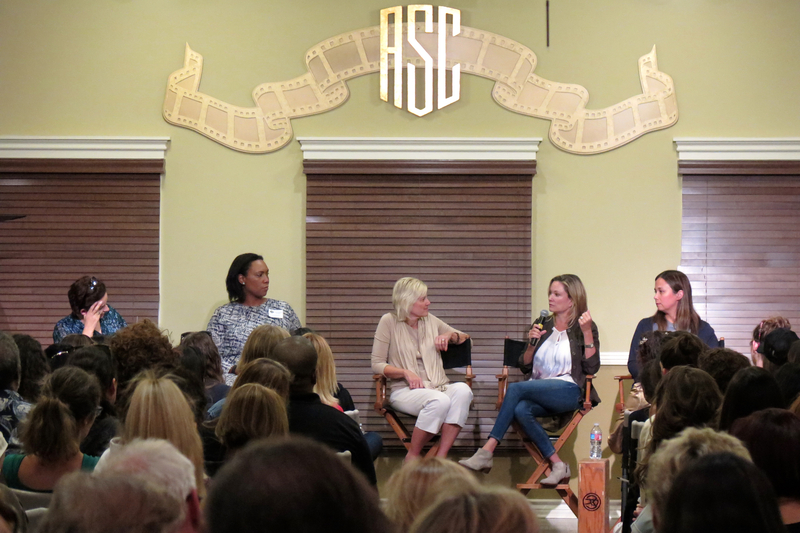 Joanna Johnson, producer/director of The Fosters, takes the mic. 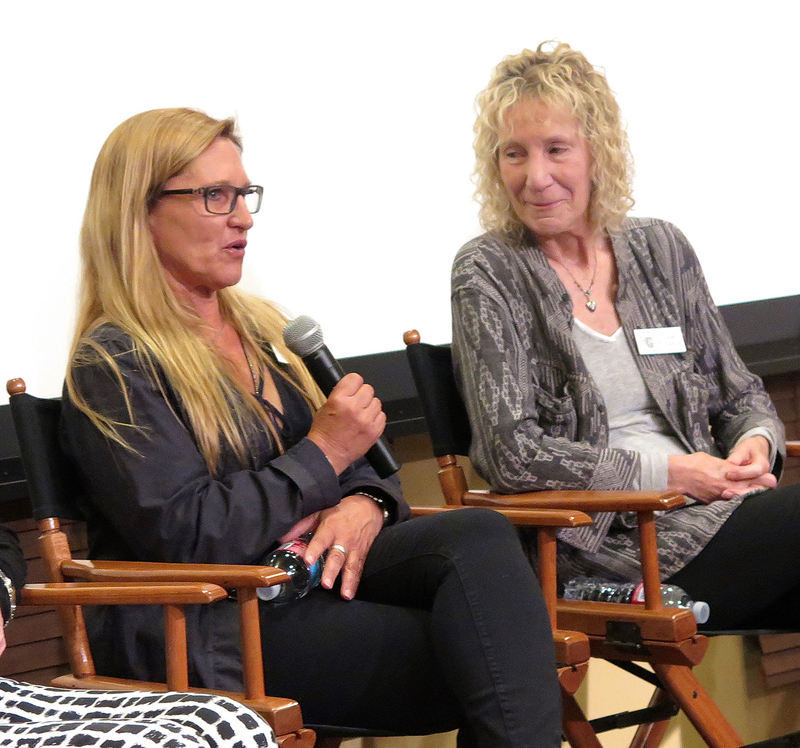 Amy Vincent, ASC (far right) with two attendees.